Now the media Elites are letting us know, for our protection of course, that they will be the arbiters of what is "real" news and what is "fake" news. What is better than the NY Times, CNN and MSNBC allowing only their narrative to be "the truth"? Can we possibly become any more Orwellian than this? Under the guise of suppressing “fake news,” the elite media and their allies are creating a censorship regime to ban legitimate conservative news from platforms like Facebook, Google, and Twitter. In a November 19 editorial, The New York Times complained about “millions of people” having been taken in by “fake news stories,” such as that Pope Francis had endorsed Donald Trump for president. Think about this claim. For over a year Pope Frances has been denouncing capitalism and calling for open borders. Trump had been openly critical of the pope. If anyone believed the pope had suddenly endorsed Trump for president, they were living in a fantasy land. It’s extremely doubtful that millions believed such rubbish. Forget for a moment about what constitutes “real news.” Does the Times really want to cite BuzzFeed as a respectable source of news and information? Didn’t President Obama once joke about the site in the context of noting that when he was growing up in Hawaii, a “buzz feed” was associated with smoking marijuana? Parry then adds, “The simple reality is that lots of dubious accusations get flung around during the heat of a campaign—nothing new there—and it is always a challenge for professional journalists to swat them down the best we can. What’s different now is that the Times envisions some structure (or algorithm) for eliminating what it calls ‘fake news.’” That structure is being set in place by Facebook’s founder and chief executive Mark Zuckerberg, in association with Google, whose parent company chairman, Eric Schmidt, worked hand-in-glove with the Clinton campaign. Google has already been caught altering search engine results to benefit Clinton during the campaign. It’s much bigger than that. This group even includes a division of the Qatar-financed Al Jazeera, the pro-Jihadist “news” agency once known as the voice of al Qaeda. The Dow has hit a new high of 19,000 in the wake of Trump’s victory. The push to ban “fake news” by the elite media, in association with fringe sites like BuzzFeed and Al-Jazeera, is outrageous. But outrage won’t stop the First Draft Coalition from implementing a censorship regime in coordination with Facebook and Google. In fact, the process is already underway. The misnamed Southern Poverty Law Center (SPLC), which is one of the richest components of the extreme left, is working with Twitter on the “content-policing” of its platform, in order to ban what it considers accounts that spread “hate speech.” USA Today reported that Heidi Beirich, a spokeswoman for the group, told the paper that “the center had asked Twitter to remove more than 100 accounts of white supremacists who violated Twitter’s terms of service.” The banning of these accounts has already begun. Of course, “white supremacy” is a term that can be assigned to a variety of groups, some of them truly objectionable, but others which simply want to give a voice to the concerns of European-Americans and supporters of Judeo-Christian values. The fact that the elite media and outlets like Twitter use information provided by the SPLC is an ominous indication of where the new censorship regime is headed. 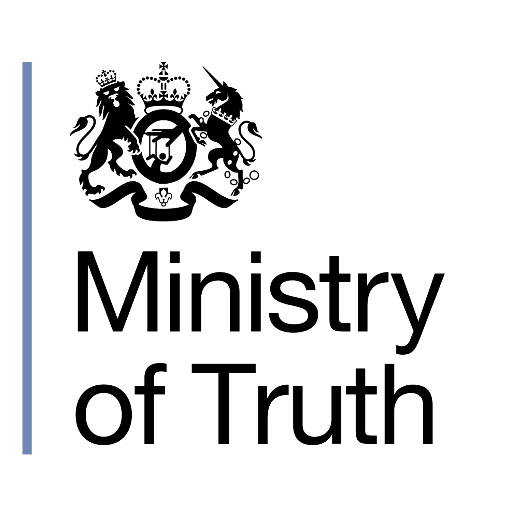 It’s time for more honest journalists on the left to follow Robert Parry’s example and speak out against the 1984-style “Ministry of Truth” that is emerging right before our eyes.